You totally nailed it!! You are perceptive, patient, and sharp. You must be an excellent driver with the right attitude on the road. You're not afraid to ask questions or admit when you're wrong. A recent research gave this test to 100 American adults and only 8% got more than 5/15 correctly. SHARE it to test every American you know. 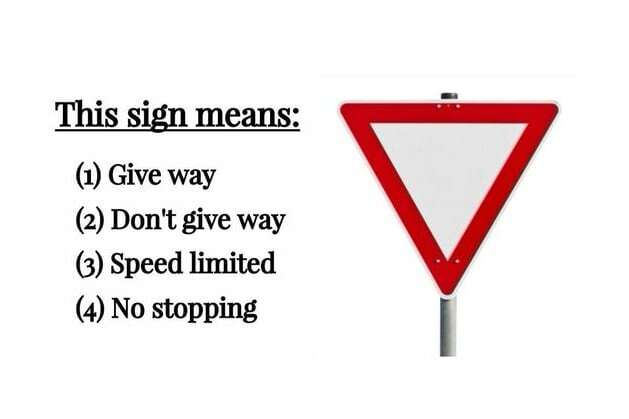 Wow... you really flunked this basic road signs test. Your memory's not at its best today, is it? A recent research gave this test to 100 American adults and only 8% got more than 5/15 correctly. SHARE it to test every American you know.